With Pressure Off, Lady Antebellum Returns with "Golden"
"Golden," a laidback album that feels like a ride in a convertible on a sunny day. 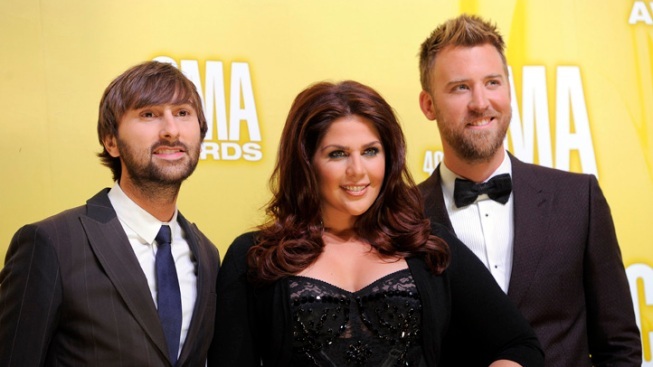 Members of the band Lady Antebellum, from left, Dave Haywood, Hillary Scott and Charles Kelley. Lady Antebellum's last album "Own the Night" opened on top of the charts, spawned two No. 1 hits and has sold more than 1.8 million copies. By any measure the Grammy-winning trio's follow-up to its life-changing hit "Need You Now" was a success — except one: How the trio feels about it looking back. The difference between that record and Lady A's new release, "Golden," is profound and reflects a new self-awareness for Hillary Scott, Dave Haywood and Charles Kelley. "We're happier with this record," Kelley said. "I think we're a lot more proud of it. We had more time. We had an album to separate us from ... "
"... the craziness and pressure that 'Need You Now' kind of put on us going into that third record. It was there and now we feel just a little more confident about where we are." Enter "Golden," a laidback album that feels like a ride in a convertible on a sunny day. If "Own the Night" was Lady A trying to recapture the magic of "Need You Now" — the song that spurred worldwide fame and five Grammy Awards — "Golden" is the band purposefully not. Gone are the strings and the heavy arrangements. They're replaced with simple songs built around the acoustic guitar, a forward-leaning groove and a '70s singer-songwriter feel. "If you look at that Grammy night, if you look at the timeline, how did we get there?" Haywood asked. "We just got there because we loved writing songs and we loved putting them down. I know that sounds so simple." And yet it's not. Sitting comfortably on a couch in a Nashville radio studio, the trio engaged in a bit of self-analysis. They said there was no group meeting about changing the approach, but it was in everyone's minds from the start. When they sat down to write the title track with Eric Paslay, Kelley said it felt like those early days again when things weren't quite so pressure-packed. Haywood said they tried to recapture that feeling in the studio. "We would go in and try to get it in two takes and just go on because I think a lot of times you can overproduce and overdo this and try to add all these things and overdubs," Haywood said. "And we really wanted to just pick the best songs and if it's a great song it's going to sound good when you play it. You shouldn't have to do a bunch to it." Fans responded by returning Lady A to No.1 on the country charts with lead single "Downtown" after a rare misfire by the final "Own the Night" single. "Golden" comes as Lady A pushes past the 10 million mark in U.S. album sales and lands at an interesting crossroads with Scott expecting her first child, a daughter, in July. Scott doesn't mind telling you the baby came as a complete surprise to her and husband Chris Tyrrell and led to quite a bit of schedule rejiggering. 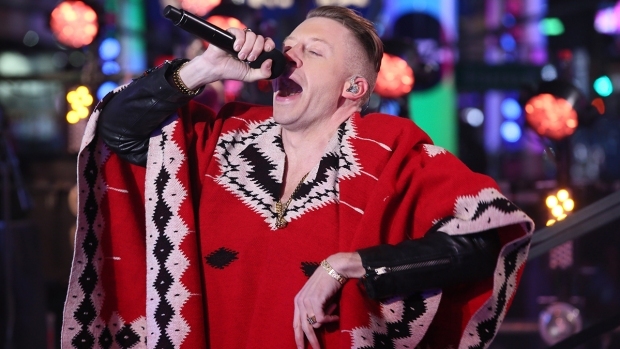 The album release was pushed up by months and several summer shows had to be pushed back. She initially feared the news might upset Kelley and Haywood, and sought them out separately to give them the news. "The first words out of Charles' mouth were, 'Don't worry about this,' because my personality is: This is going to affect everybody and it's going to change everything, and I hate that my life affects everybody and it's going to change everything," Scott said. "But that's just how it works." Kelley and Haywood, to the contrary, look forward to the time off. Kelley plans to golf and write songs, and Haywood may take up producing during the hiatus. "I think that's the only way we will last 20 or 30 years, if we allow ourselves to have our moments," Kelley said. And those moments may show up on an album down the road. "This is just a new chapter," Scott said. 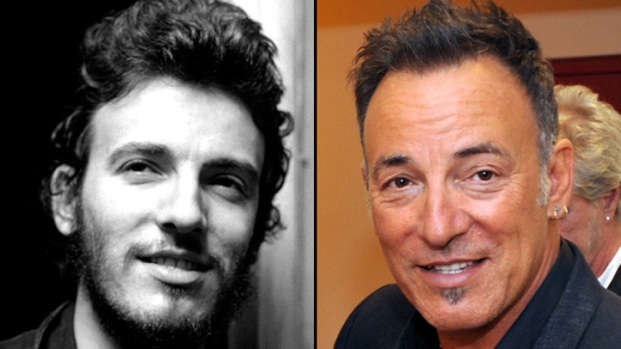 "You've got to keep living to keep writing. That's the one thing we always said from the very beginning, before we were married, before we were having children: If you don't stop long enough to have a real life off the road, you don't have anything to write about that people can relate to. Because our lives are so weird most of the time."